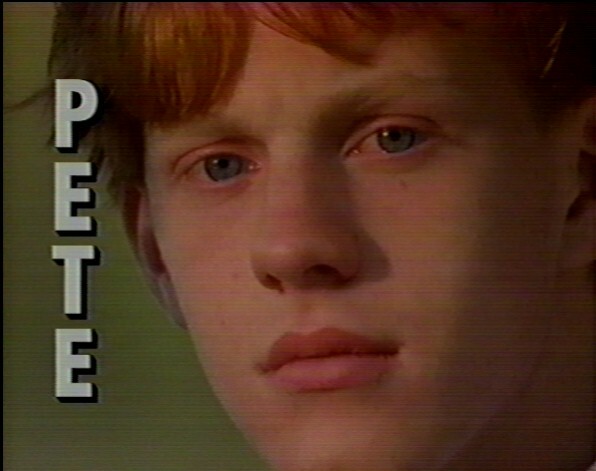 Here is a list of the characters in The Adventures of Pete & Pete with a brief description of each character and a paragraph about where else you might have seen the actor. Older Pete narrates each story, giving us essential background information. This Pete is fairly average and normal. Pete's best friend is Ellen Hickle. Older Pete is played by Mike Maronna. He has appeared in both Home Alone and Home Alone 2. More recently, he was some episodes of All My Children the Summer of 1997 as well as the 1997 season premiere of Law & Order. Younger Pete's view on life is rather bitter, and he has a twisted disposition. But he still has his charm. 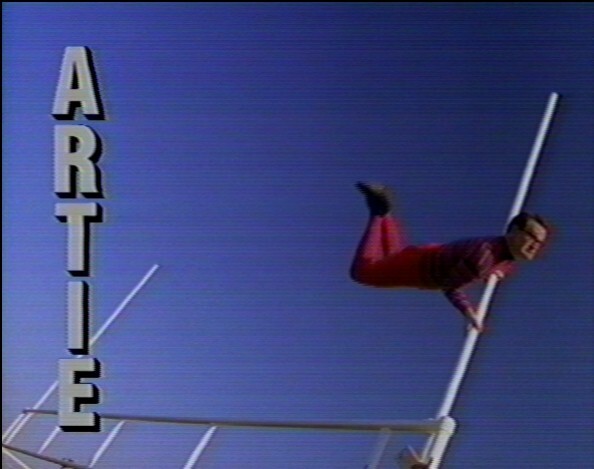 Pete's personal super-hero is Artie, the Strongest Man in the World. 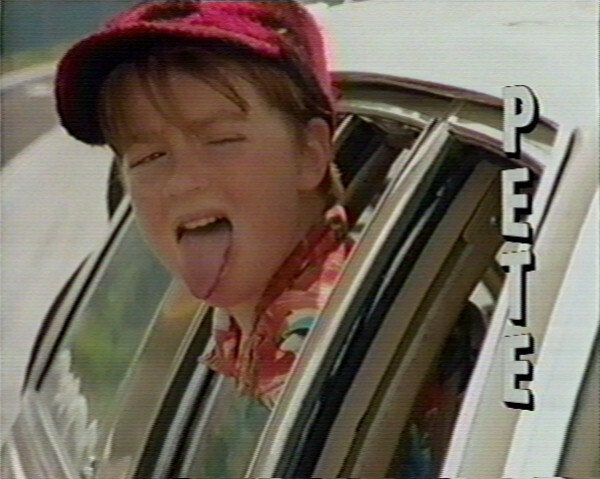 Younger Pete is played by Danny Tamberelli. Danny is currently appearing on All That, another Nickelodeon show. In the past he has done several commercials and has been spotted in an episode of Law & Order. He was also in The Babysitter's Club (the tv series, not the movie), The Mighty Ducks, and The Adventues of Huck Finn. Danny is the voice of Arnold on The Animated Magic Schoolbus and has appeared several times on Figure It Out (a game show on Nickelodeon) and at least once on Space Cases (another Nickelodeon original). Ellen Josephine Hickle is older Pete's best friend. (Her middle name is mentioned in "Apocalypse Pete".) She lives just a couple blocks away and goes to Pete's school. She plays the French Horn and is an excellent student. All of this, plus her cheery disposition, serves as an interesting contrast to both younger and older Pete. Ellen is played by Alison Fanelli. 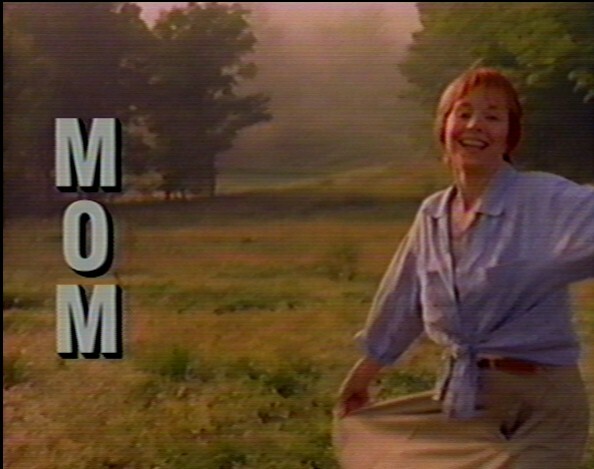 Mom is played by Judy Grafe. Her movie credits include *batteries not included, Frankenhooker (!!) and Basket Case 2 as some form of a news caster in each movie. More recently, she's reportedly (althought this is not confirmed) been on Kablam!, another show on Nickelodeon. Since mom's plate has its own listing in the opening credits, we do the same here. 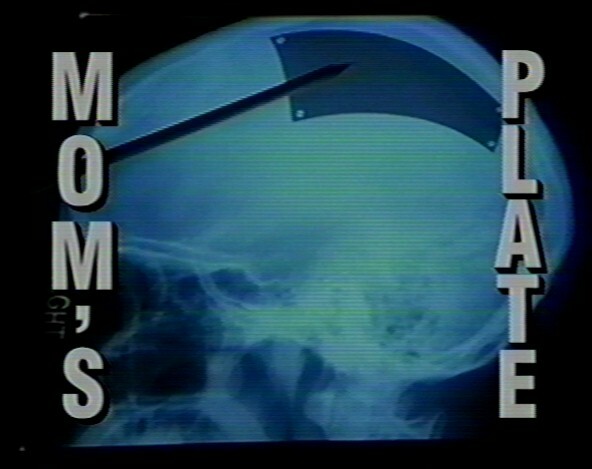 Mom had an accident as a child which meant a metal plate had to be put in her head. In fact, this is how Mom and Dad met each other: Dad was using his metal detector at the beach and detected the plate. The rest is history. Mom's plate can serve as a radio antenna (which has its pros and cons) and as a lightning rod (which also has its pros and cons). Mom's plate has never appeared in any movie to date. Dad is just simply Dad. He's a bit of a bumbling fool, but his heart is in the right place. He owns and operates a driving range. Dad's name is Don Wrigley. Dad is played by Hardy Rawls. He has been in several commercials and a couple movies. He has also appeared in commedy bits on Late Night with Conan O'Brien. Suffice it to say here: Artie is the strongest man in the world. We have put together some rampant speculation about him. Toby Huss plays Artie, the Strongest Man in the World. He has been spotted doing commercials for MTV, Nike (as a bellboy), and Butterfingers. He has provided voices for Beavis and Butthead and King of the Hill. He was also in an episode of Seinfeld as Jack "the Wiz". Nona is a neighbor of Pete and Pete who wears a cast all the time because she likes the itchy feeling it gives her. She was an addition to the supporting cast in the second season, but was promoted to full cast member in the third season (taking Artie's place). Nona is played by Michelle Trachtenberg. She was also an autistic child on All My Children. She does not appear in all of the third season episodes so that she could star in Harriet the Spy. As of 2000, she is now part of the cast of Buffy the Vampire Slayer; she plays the part of Buffy's sister. 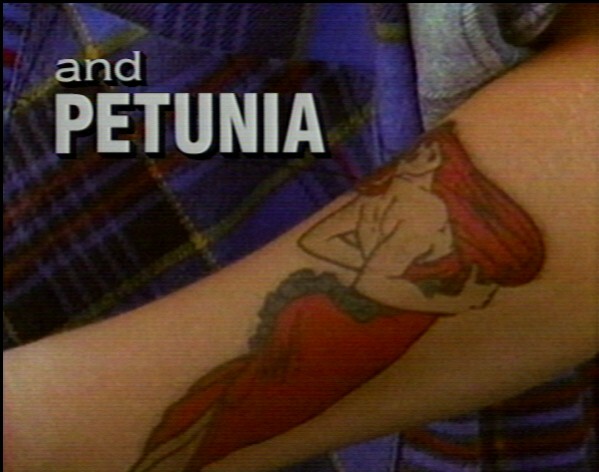 Petunia is younger Pete's tatoo on his arm. Like Mom's plate, Petunia has yet to break into movies. The following characters are friends of the Petes. Bill is a friend of older Pete and Ellen. Bill is played by Rick Barbarette <Barbz37@aol.com>. Bill sent me some pictures of himself and from the set. Teddy is another friend of older Pete and Ellen. Teddy is played by Dave Martel <MartyMartel2003@yahoo.com>. Dave also sent me several pictures. Monica is a friend of younger Pete. Monica is played by Maris Hudson. Wayne is a semi-annoying, but well-intentioned, friend of younger Pete. Wayne is played by Justin Restivo. Natasha is one of the Nightcrawlers in "Nightcrawlers". Natasha was played by Heather Matarazzo, the lead actor of Welcome to the Dollhouse. She has also appeared in several other movies and tv shows. Both of the Petes have had to deal with their share of enemies. Hat Head is the first bully to pick on the Pete's, appearing in at least one short. Openface is older Pete's enemy in "Valentine Day's Massacre". Endless Mike is older Pete's nemesis, whether it is in shop class, during Halloween, while Pete tries to date Ellen, or on a school bus trip. Endless Mike is played by Rick Gomez. 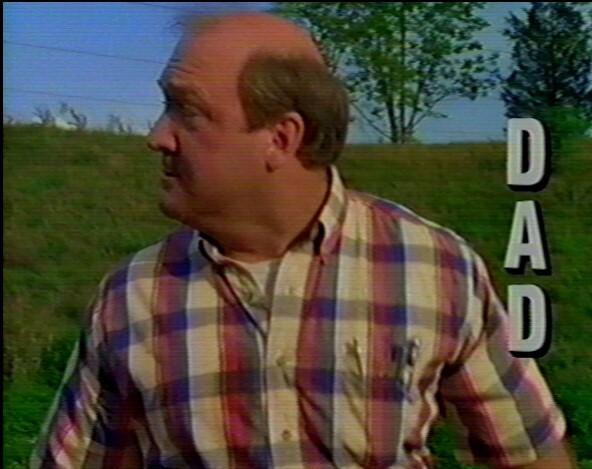 He has appeared in two MTv shorts, a couple of commercials (including a series of Pizz Hut commercials in 1996 and 1997), and an episode of Law & Order. He had a short-lived sitcom and now provides the voice for Sniz on Kablamm (another Nickelodeon show). Paper Cut was the enemy of younger Pete in the two part "Farewell, My Little Viking". Pit Stain is the enemy of younger Pete because Pete gave him his nickname. His gang consists of Hair Net and Draw String. Hair Net is part of Pit Stain's gang. Drawstring is part of Pit Stain's gang. Nightbrace replaced Drawstring in Pit Stain's gang. While not appearing in the opening credits, these fellow Wellsville residents have played significant roles in the show. Stu Benedict is the love-crossed school-bus driver of Wellsville. Damian Young plays Stu Benedict. He has appeared in two movies by Hal Hartley along with Martin Donovan. He's part of the Hal Hartley conspiracy. Frank Gulcher is the crossing guard during the second season. Mrs. Burnbawer is in charge of security at younger Pete's junior high school. Last modified: Mon Jan 11 11:47:27 CST 2010 .